Most parties stay 90 minutes on average but groups can always purchase more paintballs and continue to play! Dress in layers covering exposed skin and wear sturdy footwear. We provide a full head protective mask for players. 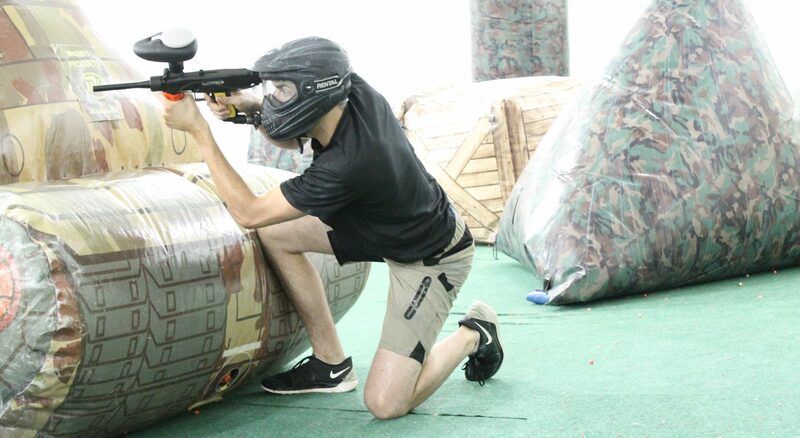 The paintballs used at our paintball center are water soluble and will wash out of clothing. That being said we still recommend wearing clothes you don’t mind getting dirty. We require all players to use our rental guns unless they come during our Gun Owner Hours. All players are required to use Splatball specific paintballs.